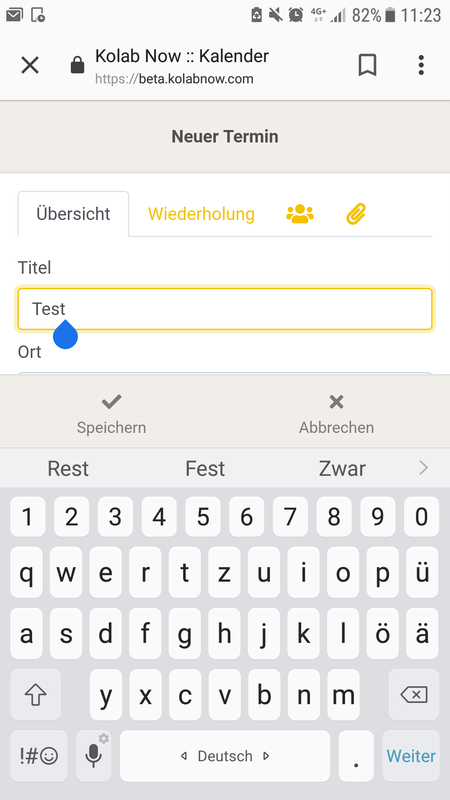 When creating an event, once you have to type something in, 2/3 of the screen are covered by the keyboard but also by a big save button, which makes it very hard to navigate. Go to any timeslot to create an event and click on it. Actual result: On the Android phone you can not see anything except for what is being typed in. Expected result: Like on the iPhone you should still be able to see and navigate easily through the creating window. How else could we do it? Maybe make the buttons smaller or integrate them into the keyboard? WHat if me just make the fields smaller?